I guess it's time for YouTube to step up its support on Apple devices. If you want to watch 4K, HDR video on your shiny new Apple TV 4K, you have limited options. Netflix support is great, and the iTunes selection is growing, but we’re still missing two big 4K HDR sources: Amazon Prime Video and YouTube. But the situation just got a whole lot better with the latest announcement from Vimeo. The video hosting company now supports three new technologies: resolutions up to 8K, HDR, and 10-bit color. Vimeo users can upload content in HDR and 10-bit color through all the usual means, including the Vimeo integration in Final Cut Pro X, Premiere Pro, and Dropbox. Vimeo is using the HEVC format for its high dynamic range, high color gamut video. This means it will work just fine on iPhone X, iPad Pro, and Apple TV 4K. It should display fine in Safari on a Mac, too. You’ll notice HDR videos on the site by the HDR badge on the video page and the player. Why this matters: YouTube is still the biggest repository of user-made 4K and HDR video, but it uses a codec not supported by Apple products, so we’re missing out. And Amazon Prime Video is another good source, but Apple TV is still waiting for the app to launch (it is still expected by the end of 2017). 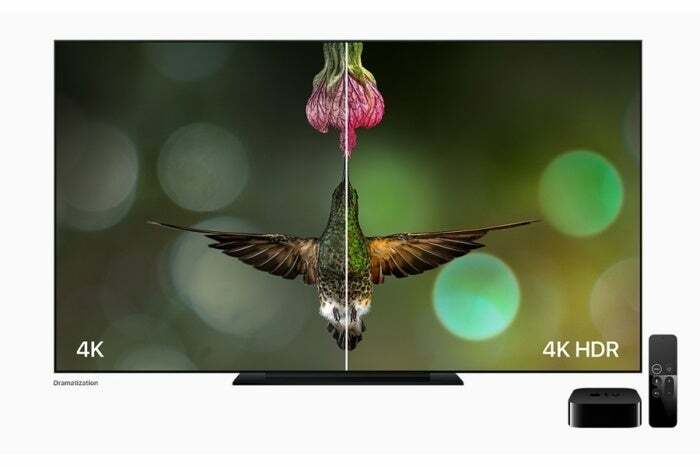 This gives Apple products, especially Apple TV 4K, a big boost in high-res, HDR video sources.